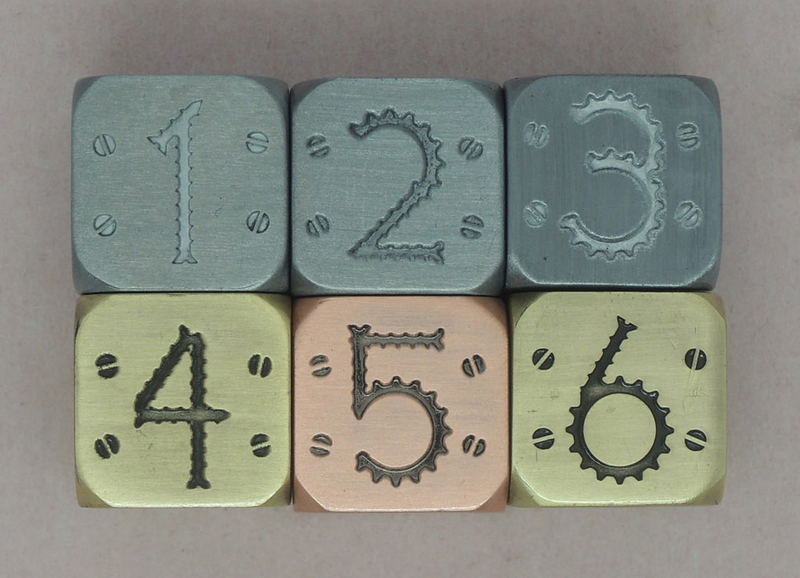 This morning we received some more photos of the Tinker Dice. We’re still not quite sure when we’ll have them in hand, but we’ll let you know as soon as possible. 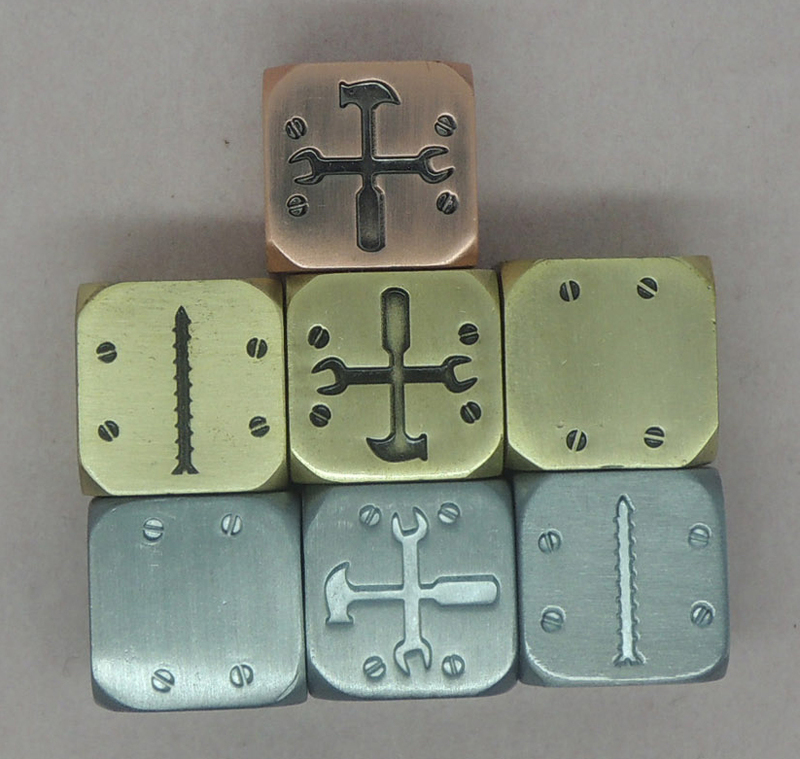 We also haven’t heard from the Gearpunk dice production team yet, but those dice are more complex. Again, when we see news, we’ll let you all know. Thanks! 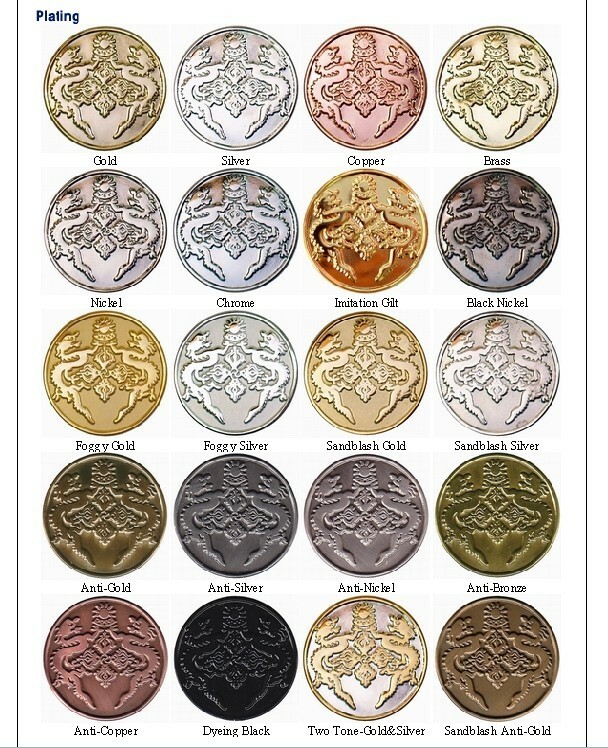 These are 39mm in diameter, 3.5mm in depth. Poker chip size… but with teeth. Literally. Blizzard sent me their occasional “come back and play pleeeeeeease, so you’ll get hooked and buy more subscription time” email recently, and I decided to take them up on it. Of course, they pitched it as “come take part in the Siege of Orgrimmar“, but since that’s a raider thing, I chose to interpret their email a little bit. …and really, I know that this sort of “play for a few days for freeee” email is meant to lure back in players who have been out of the game for a while, but it seems to me that isn’t limited to end-game raiders. Especially since it seems like you have to be out of the game for four or more months for them to even extend the offer, and by then… are you really on the cutting edge of raid content any more? Anyway, I did break down a while back and buy a Collector’s Edition of Mists of Pandaria. (It was something like $35 or so, which netted me the art book, soundtrack and DVD that I really wanted. The other extras were icing on the cake. 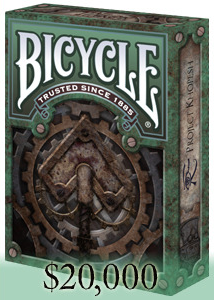 Oh, and the game expansion was nice. I’ll make a Dwarf Monk at some point.) You see, WoW and I, we have a tenuous relationship. It’s a game I could easily spend a lot of time in, mostly just looking around at the nicely realized world and art. And yet… what time I do spend in it is torn between “ooh, that is a good screenshot opportunity” and “man, this game design needs work”, with a fair bit of mindless questing and dungeoneering in the murky middle. The combat isn’t terribly engaging most of the time, but sometimes, that’s exactly what I want. Sometimes I want involved, tactically awesome combat, sometimes I just want to zone out for a bit before I go to sleep. It’s a bit like watching a Stargate SG-1 episode I’ve seen before; I can just sort of turn off my brain and enjoy the ride as I coast to a stop at the end of the day. WoW is a game that I just “graze” in, really, and that’s OK. I’m happy to just putter around here and there during those times when I’m in the mood, and I love that my Druid has flight form and the cat form’s stealth so I can poke around in places where I’m not generally supposed to go. This is also why the subscription model is such an awful fit for me. I don’t binge on the game, or commit to it. I just play it a little bit, and the value calculations of a subscription make that an expensive bit of gaming. For the $15/month I might pay to play, I’d get in maybe 15-20 hours, tops, and even getting that much in would mean not playing any other games or working on Kickstarter (Go, Go, Tinker Deck!) or other art projects. I just don’t do that sort of single-game thing any more. For that same $15, I can buy three Humble Bundles or the like and get hundreds of hours of gaming over the next year or so. And as it happens, there’s a bunch of these switches by a neighboring merchant. That Wowpedia link describes it a bit if you want detail, but I, quite mindlessly, as is my wont when I’m doing these bog-standard fetch quests, just grabbed one of those switches. And then the merchant started yelling at me. Immediately, my response was to right click on the guy and see if I could give him back the switch. There were plenty in the neighborhood, and I was sorry I took his. This quick incident was at once intriguing and disappointing. For once, a character in the game exhibited small signs of an AI that was more than just “be present in the world”. That was awesome. It was a glimmer of what the AI in Everquest Next might get up to (and I hope that they make it interesting; there’s a TON of potential). I thought it delightful that a NPC would chew me out for an admittedly stupid minor theft. And yet, and yet… I couldn’t react to it. I couldn’t give him back the switch. I couldn’t attack him and kill him for his insolence. (I didn’t think of that option until later, as it’s not a reflexive response for me, but I still couldn’t do it, even if I had wanted to.) I could /bow to him or /laugh, but there wasn’t really interaction there. It was little more than a scripted event that’s just barely beyond what most NPCs do. Still, it was an NPC reacting to something I did nearby, not something I did directly to them. That was a nice touch, and I’m looking forward to seeing games take that further. There’s a long way to go, and it’s sad to see only the very rudimentary efforts when there’s so much potential, but I choose to see that as a glimmer of hope for these MMO things. This is just a little bit of administrative data for the Tinker Deck campaign. 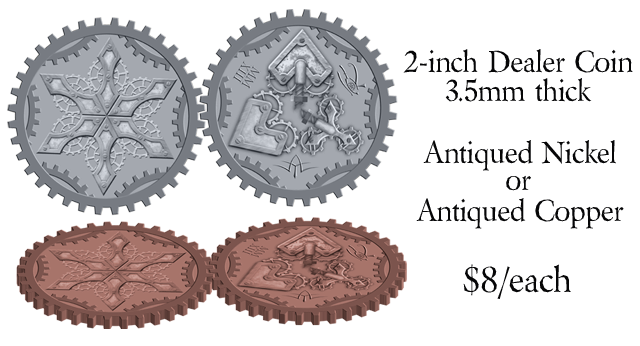 Since the main Tinker Deck is funded, we’re working on stretch goals at the moment. 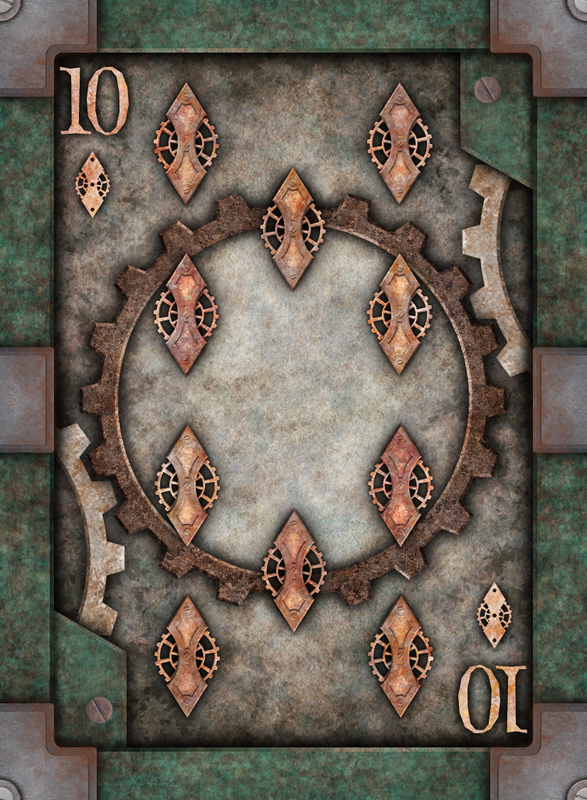 The big one is the Rusty Tinker Deck, of course, previewed a bit here and here. We’ll add all of the PayPal pledges into the project tally for the purposes of unlocking the stretch goals, it’s just an option for those who would rather use their services than Amazon Payments and Kickstarter. 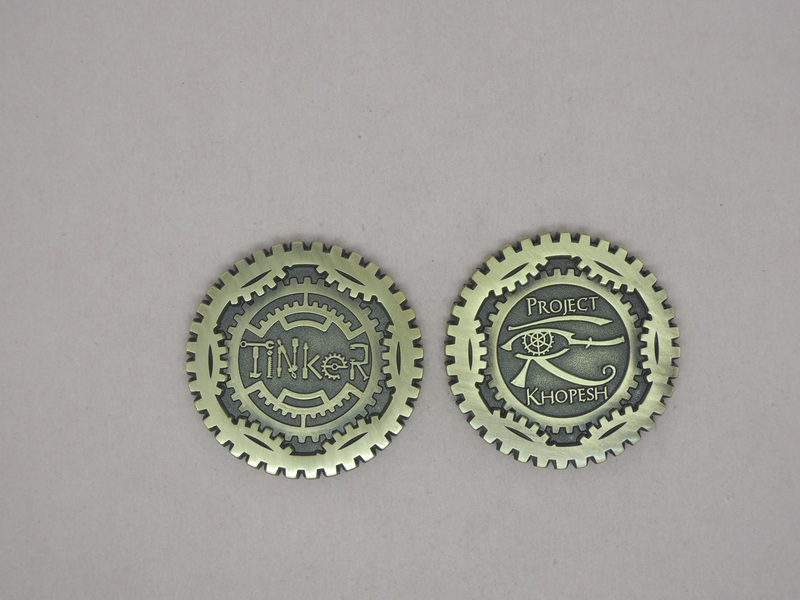 We’re also introducing the Tinker Dealer Coins, which we’ll offer for $8/each, available in Antiqued Nickel and Antiqued Copper (which can be artificially aged, giving it a nice patina to be a good companion to the Rusty deck). This is the concept art; we’re working with the company now to make sure they have the best source images. 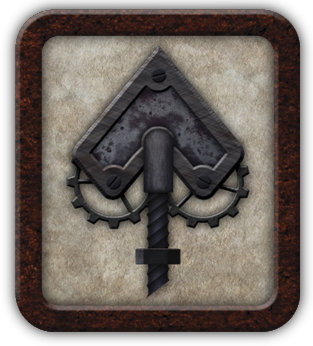 We’ve also taken a little time to clean up odds and ends in the campaign, like unlocking the Gearchips early. 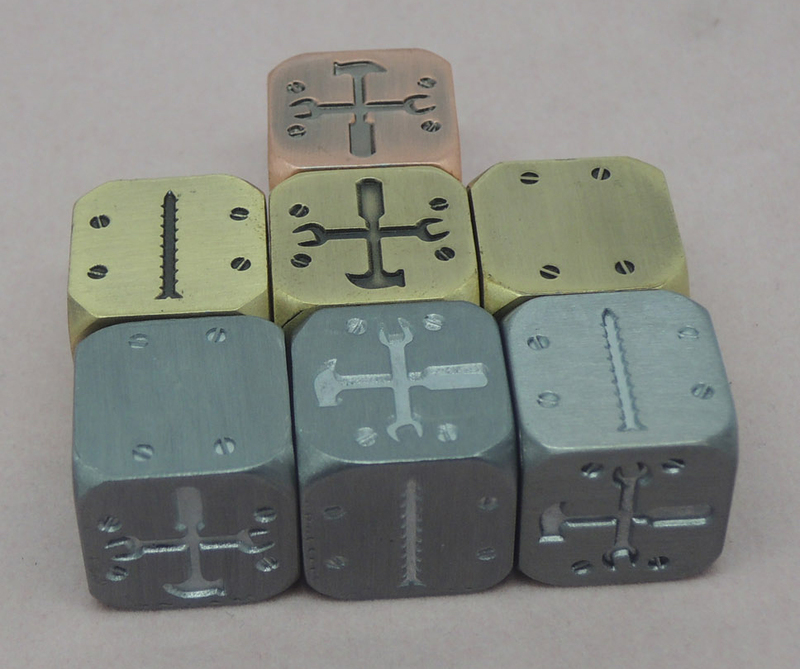 There wasn’t a hugely compelling reason to wait to unlock them, so the Gearchip Sampler (5 metal Gearchips in five different finishes) is now available for $7, and the Gearchip Playset (100 Gearchips, 20 of each finish) is available for $90. We’ll get an Add-On infographic up as soon as possible. Oh, and Ferrel’s Havok & Hijinks project is winding down, so the window of opportunity to get the crossover coins is closing! 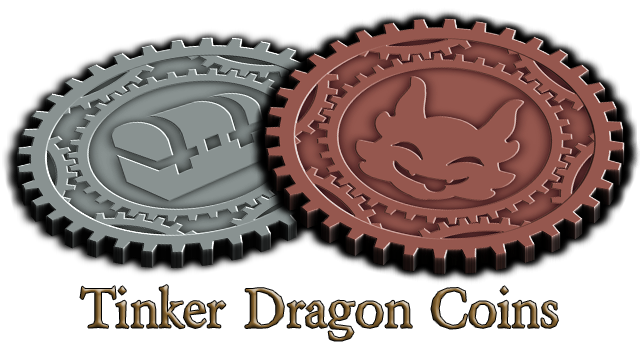 You can pick up a pair of exclusive Tinker Dragon coins if you back both projects; his for at least $15 and ours for at least $11. 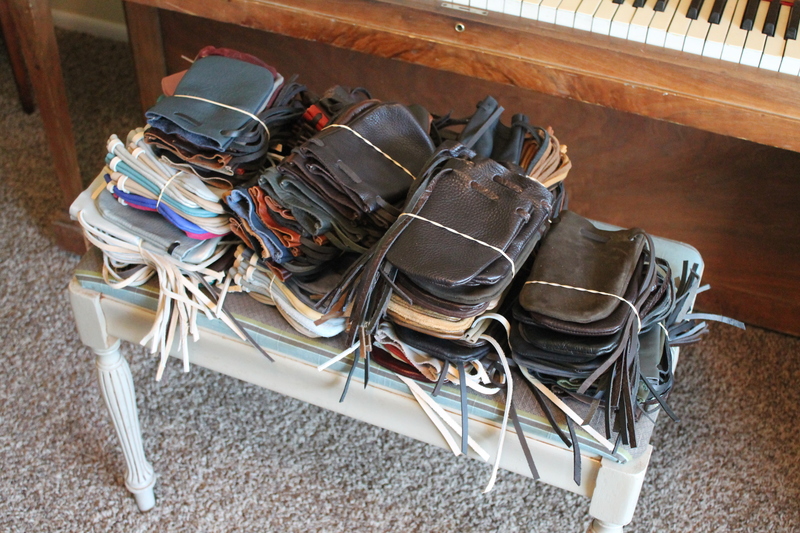 So that’s what 100 pounds of leather pouches looks like. All 1,000 of them. Yes, things are starting to come together. 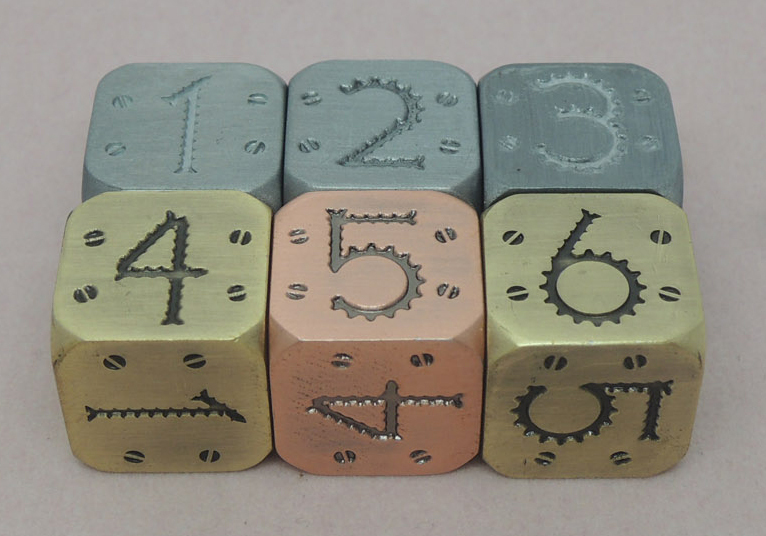 These babies will each hold about 20 dice, so I guess I overestimated the need for them by a bit… but I can live with that. Better to have too many and too much room in each pouch than too few and not enough room. …and yes, sharp eyes might well detect a few oddball colors like pink and purple. We’re still not making promises that we can fill everyone’s color requests, but it looks like we should be able to get close for most people.